The umbilical cord is the lifeline between mother and child. It contains many blood vessels, through which the umbilical cord blood pulses. For the blood vessels to withstand the stress and not to bend, they are covered by umbilical cord tissue to protect and support the cord. This umbilical cord tissue contains a particularly large number of mesenchymal stem cells, which makes it particularly interesting for stem cell therapy. 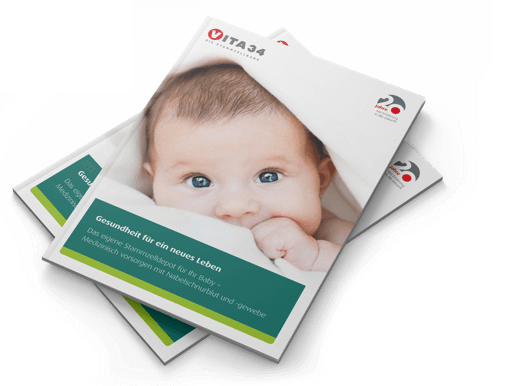 Vita 34 is the only provider in Germany offering the storage of umbilical cord tissue. By storing umbilical cord blood and umbilical cord tissue, you get the double stem cell power. 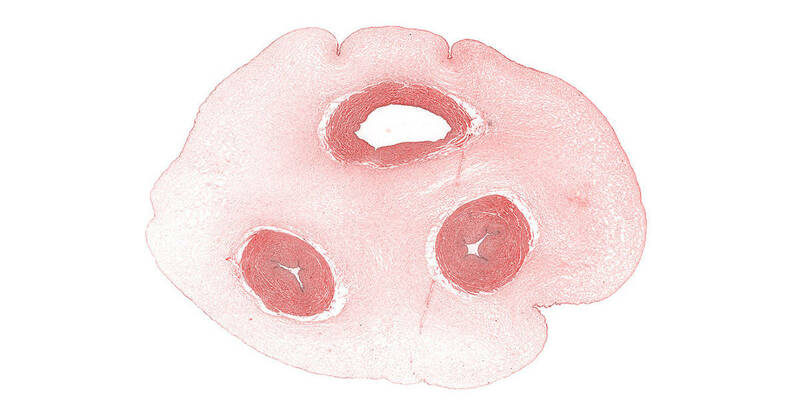 Umbilical cord tissue contains a particularly high concentration of mesenchymal stem cells. Currently, mesenchymal stem cells are applied in more than 500 clinical studies worldwide, e.g. concerning vascular diseases, autoimmune diseases, or joint arthritis. Furthermore, they may inhibit unwanted reactions of the immune system and thus reduce rejections, which may occur e.g. in case of leukemia after the transplantation of allogeneic stem cells. The so-called graft-versus-host disease (GvHD) is unfortunately still a dreaded complication. Today already starts to show that autologous, mesenchymal stem cells will be applied more often than allogeneic donor stem cells, even though the fields of research in regenerative medicine are substantial and promising. 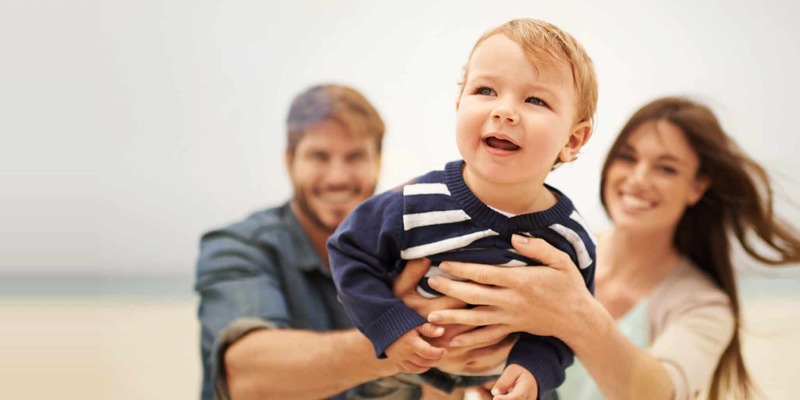 Medical experts and scientists hope to discover even more extensive therapeutic options using mesenchymal stem cells in the future. How does freezing the umbilical cord actually work? The process of preserving the stem cells from umbilical cord tissue starts at the maternity clinic. After the umbilical cord was cut, at first the umbilical cord blood is collected in a bag. Then, the doctor or midwife cuts the umbilical cord near the placenta to get a piece that is as long as possible. The umbilical cord tissue is sent together with the umbilical cord blood by courier to the Vita 34 laboratory. It took a lot of development time to bring the procedure from collection at the clinic to freezing the umbilical cord tissue to perfection. The process of preserving an entire umbilical cord is even more complex than the cryo-preservation of umbilical cord blood. The greatest challenge when storing umbilical cord tissue is microbial growth. A natural birth is not sterile. For this not to affect the quality of the stem cell preparation later, Vita 34 tries to minimize the bacterial exposure already during transportation. The collection box is most suited for this purpose. It contains a special transport solution to place the umbilical cord in immediately after it was cut. When the umbilical cord arrives at the laboratory, it is again thoroughly disinfected, cleaned, and washed to make sure that even the last germ has been erased. Then, the umbilical cord sections are frozen at approximately minus 180 degrees Celsius in a special freezing bag, protected in an aluminum cassette..
Vita 34 is the only provider in Germany offering the storage of umbilical cord tissue. By storing umbilical cord blood and umbilical cord tissue, you get the double stem cell power.